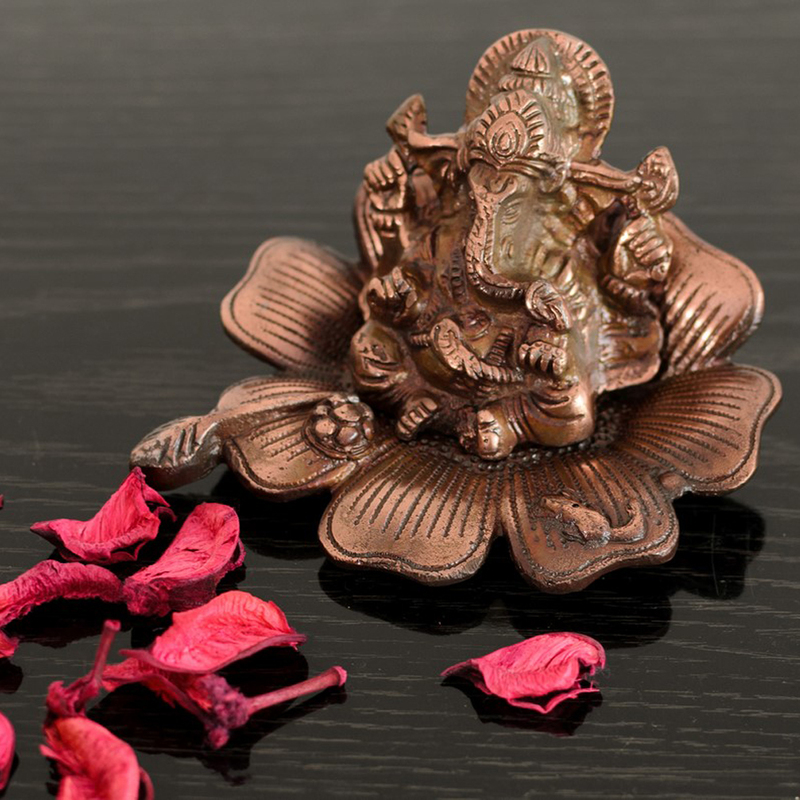 The status of Lord Ganesha sitting on a flower is a true spirit of divinity and elegance. 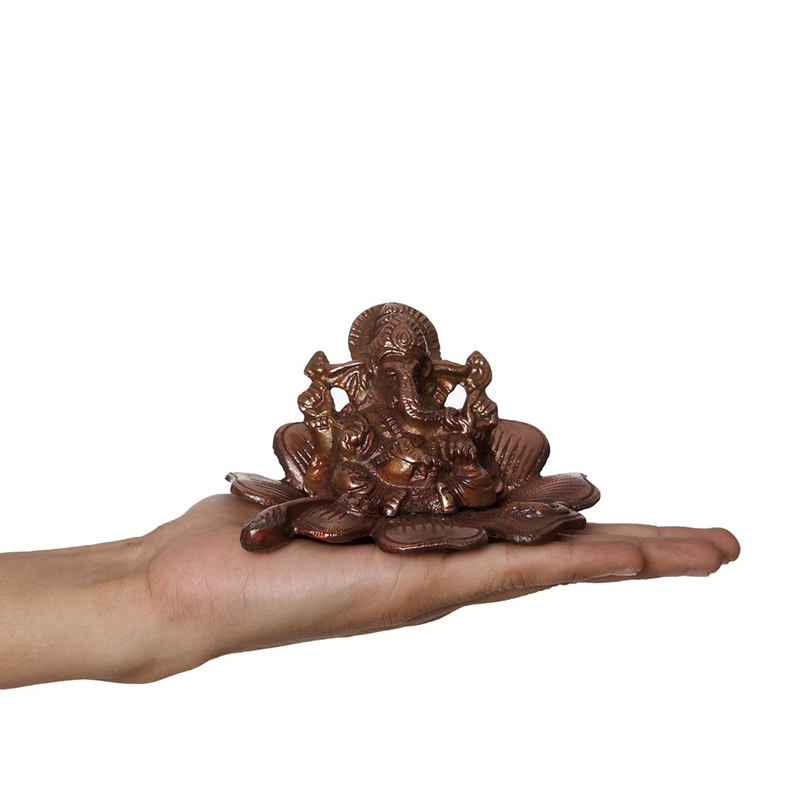 Bring home this beautiful and serene statue and Read More..decorate it in your living room or your bedroom to bring in good luck. 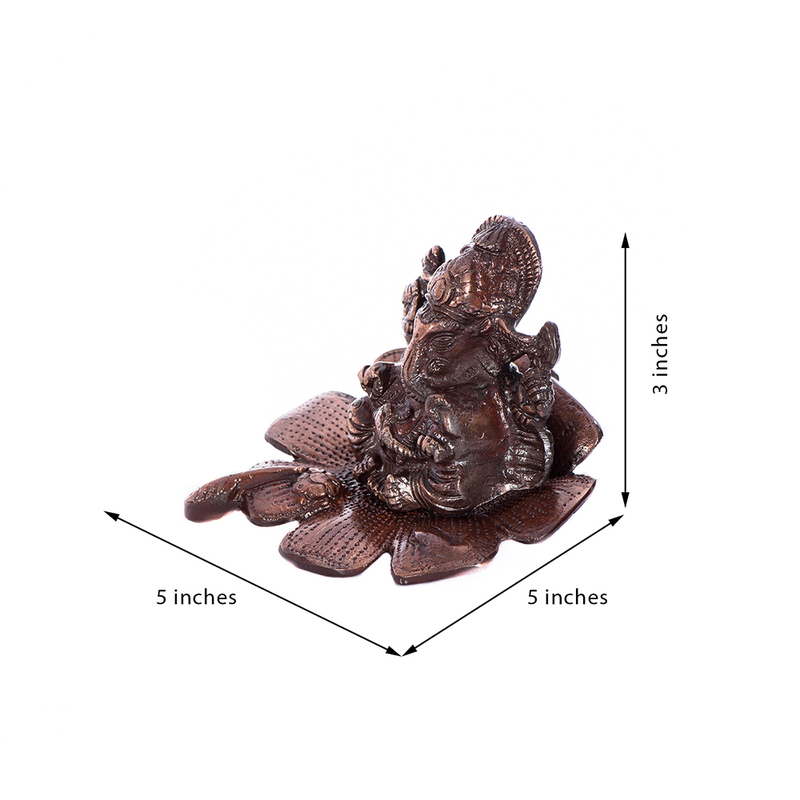 This statue which made of pure metal is gracefully carved out intrinsically with the finest details. 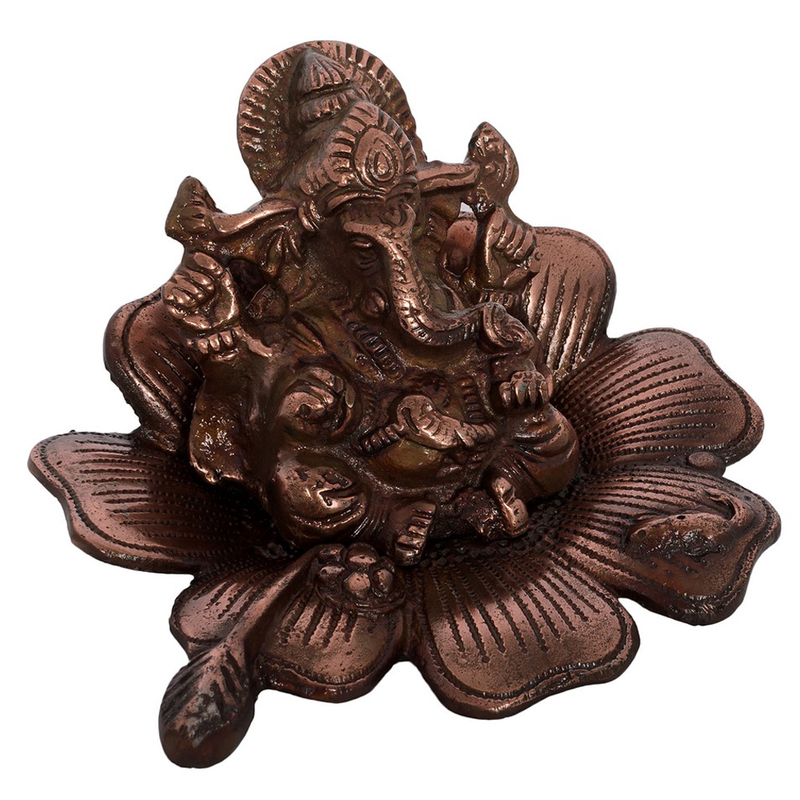 Keep it in your puja room or your living room and Ganeshas blessings will always be around you. This is made by skilled artists Show Less..